What is requisition? A requisition, as defined by the dictionary, “is to demand the use or supply of.” This can refer to the demand or order of either goods or services. 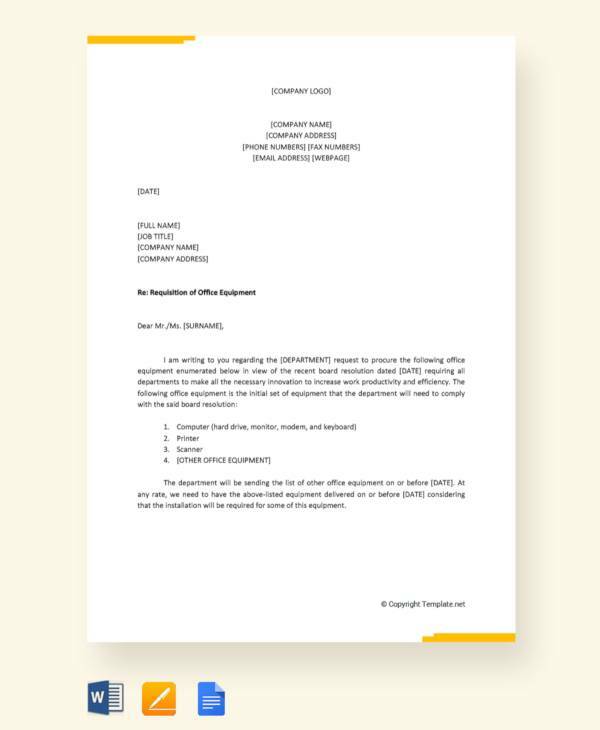 A requisition letter is a necessary document if you need to acquire certain goods or services from a purchasing department. 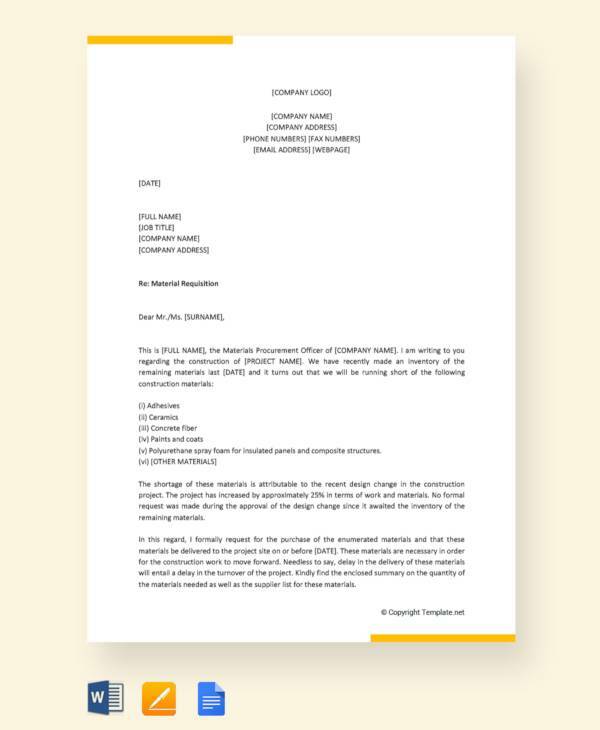 A letter of requisition contains a number of information such as the quantity, name of the products, and the delivery date. If you need to write a requisition letter, you can read more information about it below. Also, you can download the templates that are available on this page. It is important to understand the necessary information that needs to be written in your requisition letter. Refer to the steps below to help you write one, and you can also make use of our requisition letter formats to help you format your letter. 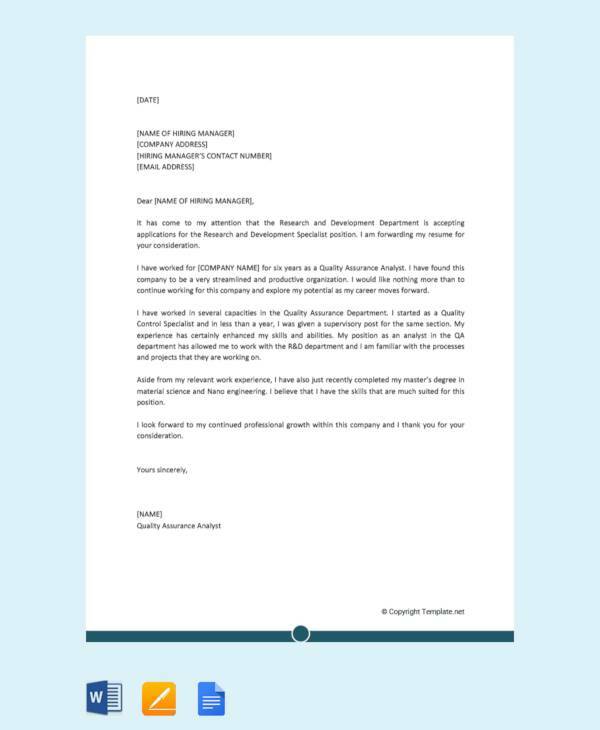 The first step that you should do when writing your requisition letter is to introduce yourself. This is an important step, especially if this is the first time you are dealing with the company or individual you are writing the letter to. Next, write an explanation for your request. Specify the details such as the products or services that you need or wish to obtain. Also include the details of the supplier of the goods. Write your email and contact information in the body of your letter. This allows the purchasing department to update you of the status of your request. To conclude your letter, show appreciation to the recipient by thanking them for the assistance. Close the letter and include your name and your title. Just like any formal document, sign your letter and mail it to the recipient. In addition, to help you with your letter, requisition letter samples are also available for you to download. There are certain components that need to be in a purchase requisition form in order for it to be complete. Requisition form examples also contain the format and the element of a requisition form. What is required – this section contains a description of the service and goods that you need. Specify each product that you need to ensure that the right items are delivered. Quantity – indicate how many of each items are required. Details of the supplier – include the necessary information about the supplier of the goods needed. Need by date – this section contains the exact date when a particular good or service is required in order for purchasing departments to deliver them before the said date. Budget information – when filling out a requisition, it is important to include the budget for the purchase. Name and signature – this is important in order for both parties to know who authorized the purchase. A purchase requisition plays an important role in requesting for goods and services. For example, if an individual or company needs to request for products from another business, a purchase requisition form needs to be filled out to ensure that you get the orders required by your company. What Is a Letter of Requisition?